Ok, we’ve all been there, the MRI, the x-ray, the CT scans, they show arthritis, the herniated discs the rotator cuff and the meniscus tear and we think, “I must need surgery”. I’m here to tell you that we at PKL PT have helped thousands of patients avoid unnecessary surgery even after they were convinced that they needed an operation. The truth is, our bodies are NOT perfect, at all! When looked at by an x-ray or MRI we often find abnormalities. These abnormalities are unfortunately being blamed for symptoms and limitations that have little or nothing to do with them. Unfortunately, patients are being diagnosed basely solely on what the MRI or x-rays reveal and are ushered into the operating room for treatment. We at PKL PT want to help avoid unnecessary surgeries and have been doing so since 2004. Even if you’ve tried physical therapy in the past, you haven’t indeed been treated until you’ve been treated at PKL PT. Give yourself all of the options before going under the knife. PKL PT should be the first and, for some, the last stop before unneeded surgery. So listed here now are the PKL PT’s Top 10 ways to help you avoid unnecessary surgery! The spine is made up of many vertebrae (bone), intervertebral discs (ringed fibrous tissues enclosing gel-like shock absorbers), ligaments and muscle tissue. Most people would say that requiring surgery on your neck is one hell of a scary treatment option for pain, stiffness or numbness. I can’t tell you how many people have opted to have neck surgery solely based on an MRI which revealed herniated discs. It is regrettable that so many patients have gone under the knife to have their vertebra fused with plates and screws at the cervical spine to treat pain, lack of range of motion and even numbness into the upper extremities. It is possible that numbness in the upper extremities can be caused by herniated discs. However, we’ve treated thousands of patients with sensation deficits that, although their MRI revealed herniated discs, those herniated discs were NOT the cause of the numbness or neck pain. The most common cause of neck pain, stiffness and, sometimes, numbness is often scoffed at and dismissed by both doctors and patients. However, it is the most blatantly obvious tissue that controls all movement, pressure on both joints and surrounding soft tissue structures, including nerves. The answer, you may have guessed it, is muscle tissue. Muscles control EVERYTHING in the human body! You may likely have the vertebra clamp down on one another if the muscles of your neck are inflamed and strained. It is this clamping of the vertebra that makes it painful to turn your head in any direction. Strained spinal muscles increase pressure on each of your vertebrae, placing undue stress on your nerves as they exit the spine, leading to the numbness in the arm. Nerves also travel down into the upper extremities weaving their way through muscle, fascia (connective tissue), tendons and bone. With that being said, it is entirely possible that nerves can, and have many times, been compressed by muscles and fascia thus leading to the numbness. At PKL PT, we’re experts in determining exactly where those nerves are being compressed or irritated and treating those areas with hands-on manual treatment. Surprisingly, the cause of numbness, pain, and stiffness is rarely from a herniated disc rather than muscle strains. There are other sources of numbness into the upper extremity that have nothing to do with herniated discs. One primary cause of numbness in the arm is from just behind your clavicle or collar bone. The Brachial Plexus (a bundling of nerves that exit the cervical spine (neck)) has been compressed by musculature around the base of the neck as well as the top of the chest region. Any compression of this neural bundle can cause intense pain, tingling, and numbness in the upper extremity to the tips of the fingers. Once again, the primary source of this compression is strained muscle tissue. Another primary source of numbness down the arm has nothing to do with the neck at all! The Rotator Cuff, the small four muscles that control shoulder movement can also cause tingling down to the tips of the fingers. The neurological symptoms are not so much from nerve compression, but the referred pain patterns from trigger points found in the Rotator Cuff musculature. We’ve had hundreds of patients that were convinced that the numbness in their fingers was coming from their neck because the MRI said so, although they had no neck pain. After a few minutes, we were able to figure out that the Rotator Cuff was the culprit. A deep tissue massage of the Rotator Cuff reproduced the same numbness into the tips of the fingers proving that the shoulder, not the neck, was the source of the neurological deficit. It is very convenient to have neck pain, to go to the doctor and have an MRI and have that MRI reveal some structural abnormality that can be blamed for your neck pain. However, studies have consistently proven that just because you have a structural defect, such as a herniated disc, it would be unwise to base your diagnosis solely on that diagnostic test. The phrase “the patients’ symptoms must correlate with the diagnostic tests” could not be more accurate. And from what we’ve seen over the years, the patients’ symptoms are rarely due to a herniated disc, but from muscle strains. So ask yourself, what would you rather do? Have neck pain and skip PKL Physical Therapy and go right in for neck surgery and all of the risks that go with it? Or try PKL Physical Therapy first, resolving your symptoms and avoiding surgery altogether? Even if you’ve attempted physical therapy without results, you haven’t tried PKL Physical Therapy. Give yourself a fighting chance and stay out of the operating room! The knee, although it is a simple hinge joint is a beautifully complex and stable structure. The knee has two joints with ligaments (attaching bone to bone); tendons (connecting muscle to bone), fascia and retinacular (connective tissues) and muscles are providing stability to the knee complex. Another structure that provides shock absorption to the knee is called the Meniscus, which rest on the top shelf of the Tibia (shin bone) and provide the cushion and shock absorption to the Tibia and the Femur (thigh bone). The medial (inner aspect of the knee) Meniscus is larger than the lateral (outer aspect of the knee). If the meniscus is torn, it can disrupt the usual rolling and gliding of the Femur and the Tibia. Many times, however, the tear of the meniscus will not disturb any movement and the patient will never even know that the meniscus has been torn. The distinctive symptoms of a meniscus tear are locking of the knee with walking, sit-stand transfers and bending the knee; giving way or buckling of the knee during walking along with severe sharp pain at a particular angle of knee bend. In the nearly 15 years of treating patients, we’ve seen an extraordinarily low number of patients that had meniscus tears as the source of their pain. Many times, a patient will complain of inner knee pain with standing up or getting out of their car along with pain during the first several steps which lessen as they continue to walk. Often, this is misdiagnosed as a “medial meniscus tear,” but the real source of pain is from the inflamed Pes Anserinus tendon attachments. The Pes Anserinus is a group of three tendons at the top inner portion of the knee. These three tendons are attached to muscles (Hamstring, Gracilis, Sartorius) that all flex, or bend, the knee. Specific movements, such as sit-stand or suddenly straightening out the knee will irritate a strained Pes Anserinus causing pain at this site, which is coincidentally 2 inches away from the meniscus. Often, the patient has an MRI, which reveals the torn meniscus and not the strained muscle tissues. (Unfortunately, MRI’s do not pick up on muscle strains). The undiagnosed muscle strain leads to the uncontested misdiagnosis of the meniscus causing the pain when in actuality, the muscle strain is causing the pain. The unfortunate reality is that patients are having surgery to fix the meniscus (PT cannot repair a torn meniscus) when the meniscus is not even the source of the pain. For all the patient knew, they could’ve torn that meniscus decades ago and never even knew it until the MRI revealed that it was torn. The only reason that they even had the MRI was that of pain due to a muscle strains in the same area of the meniscus that isn’t seen on the MRI. A simple physical examination at PKL Physical Therapy often reveals the actual source of pain, which is muscle and tendon tissue. It is a lot easier and less risky to receive the appropriate physical therapy care at PKL PT than to have surgery to fix a meniscus that is not even causing your pain in the first place. Unfortunately, there has been a countless number of patients that we’ve treated after having meniscus surgery that have the same pain at the knee that they had before the surgery, proving that the meniscus tear never had anything to do with their suffering. Naturally, we treat and resolve the real source of the patient’s pain, which is muscle tissue. The patients then quickly realize that the surgery was unnecessary. Additionally, remembering that the meniscus is a shock absorber, it is quite apparent that unnecessarily removing it will increase the likelihood of osteoarthritis and the eventual need for a total knee replacement. This is perhaps the most important reason not to remove shock absorbing structures from within the knee unless it is necessary. Even if you’ve tried physical therapy without results, you haven’t tried PKL Physical Therapy. So, what would you instead do? Have knee pain and have surgery based solely on an MRI finding that doesn’t correlate with your symptoms? Or go to PKL Physical Therapy, receive an accurate diagnosis and treat the true source of pain without surgery? The phrase “the patients’ symptoms must correlate with the diagnostic tests” could not be more accurate. Give yourself a fighting chance and stay out of the operating room! Sometimes, the pain in our knees can be so intense that you must believe that you need surgery. The reality is that, often, a pure muscle strain can cause severe pain in the knee. However, this is usually overlooked during the physical examination. The all too common scenario is that the patient will experience a sudden onset of pain at the knee and then visit with their doctor. During the visit, an x-ray will be taken of the knee revealing arthritis. The x-ray, which should be used as a piece of the diagnostic pie, is labeled as the sole diagnosis. Unfortunately, however, the overall diagnosis becomes the same as what the x-ray reveals, even though it has little to do with why the patient is suffering from pain. This is where thousands had had unnecessary total knee replacements when they probably did not require this surgical procedure. There have been countless research studies that have proven that people, without any knee pain, had x-rays which revealed bone on bone osteoarthritis. Would it make sense for these people to go to the operating room for a total knee replacement?? This would indeed be an absurd decision. The same is true for anyone that experiences knee pain and decides to undergo a total knee replacement based solely on an x-ray finding. The truth is that there are numerous causes of pain in the knee that have nothing to do with arthritis, ligament or meniscus tears. The only soft tissue that doesn’t appear to be tight, weak, strained or inflamed on MRI or x-rays findings is muscle tissue. Although a doctor can see muscle tissue on an MRI, it is nearly impossible to see if that muscle tissue is inflamed or restricted with lack of flexibility or weakness. 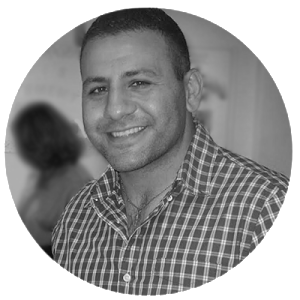 The expert clinicians that are best capable of understanding muscle dysfunction and its tremendous effect on the human body are physical therapists. It’s a common misconception that we humans have only one joint (where two bones are joined to allow for movement) at the knee. Technically, we have two joints at each knee. The three bones that make up the two joints are the femur (thigh bone), the tibia (shinbone) and the patella (knee cap). The first joint – the patellofemoral, or PFJ, joins the kneecap and the thighbone. The second joint – the tibiofemoral, or TFJ – joins the thigh and shinbone. Every year, millions of Americans replace the TFJ based on x-ray findings of “bone on bone arthritis.” In my experience, the patellofemoral joint, PFJ, is usually the main culprit behind knee pain, not the tibiofemoral joint that is replaced during a knee replacement. Pain from PFJ irritation can be quite severe, even crippling. Activities such as walking, negotiating steps, standing for any length of time, running, participating in sports or sitting with knees bent for an extended period can cause severe pain at the front of the knee. Unfortunately, since this pain is so severe and the x-rays show arthritis, the patient is left to believe that a joint replacement is the only option. This is not the case, and a far better and less invasive option is available. Many patients do not opt for surgery and will undergo a series of hyaluronic acid injections, Synvisc or “gel shots” to increase the viscosity of the knee joint to increase lubrication and shock absorption. The substance is derived from chicken combs and has helped some patients with knee pain. However, once again, this is treating the tibiofemoral joint arthritis and not the muscle strains causing inflammation at the patellofemoral joint. The Quadriceps (front thigh) muscles attach to the kneecap and control the kneecap as it glides against the thigh bone. If the Quadriceps are strained, inflamed, tight, weak or in spasm, then the kneecap will grind up against the thighbone creating severe pain with weight bearing activities. The question is simple: would you rather endure a traumatic orthopedic surgery and replace the entire knee joint or resolve a muscle strain with massage, stretching and exercise? I think that the answer is clear. It never makes sense to replace something when that something is not the source of the problem. Lower back pain can be terrifying and unnerving, no pun intended. Just like every other joint, the spine is a beautiful network bone creating individual joints as well as ligaments and muscles protecting our spinal cord. Think of the nervous system as the electrical component of your body. Your brain sends in impulse from the central nervous system (brain and spinal cord) to your peripheral nervous system (all of the nerves outside of the spine) to create a specific movement. The peripheral nerves, which appear like tiny wires that are embedded in your muscles electrocute your muscles to produce the desired action with the appropriate force, finesse, speed, and grace. This all happens in nanoseconds! As strong as the spinal cord is, it is, much like other joints in the body, vulnerable to the forces and stress of poor posture caused by inflexible and weakened musculature. Many of my patients finally come to me after spending hundreds of dollars in physician, diagnostic imaging and pharmaceutical copayments with little to no improvement in their lower back pain. They find out a heck of a lot regarding the anatomy and degradation of their spine through MRI, CT scan or x-rays with the possibility of surgical intervention lurking in the distant darkness. They’re scared, a bit hopeless and skeptical that physical therapy will help them gain back the freedom to move without pain or limitation that they’ve sorely taken for granted. The first words out of any patient’s mouth when I ask them about why they’re here in physical therapy is usually, “I have herniations at my L4, L5 vertebra” or “I have bulging discs” or “I have spinal stenosis.” I then immediately ask my patients what caused them to visit with their doctor in the first place and that’s when I get the answer, “My back is killing me.” After nearly 15 years in practice, I’m not surprised when patients are skeptical about my end diagnosis and how it has nothing to do with their spinal stenosis or bulging discs. I’ve learned to not rely on telling patients about this but instead, show them with my treatment methods. So let’s talk about spinal stenosis and the particular telltale signs of this diagnosis. A foramen is a medical term used to describe an opening, a hole or passage, especially in bone. For example, the “magnum foramen” is the “great hole” at the base of your skull that vital structures pass through. When looking at the spinal column, you’ll see that each particular vertebra has a vertebra above and below it creating joints. On the side of these joints, there are small foramen or holes that allow the small nerve roots coming off of the spinal cord to run through to make their way down your arms, around your torso, and down your legs to your muscles. Remembering the reference to the nervous system acting as the electrical component of your body, imagine what would happen if you compressed or crimped at the wire of a lamp. You would expect the lamp to light up dimmer than usual because some of the electrical currents were not able to go through the wire to light up the lamp. The same scenario occurs in at the spinal column with spinal stenosis. Spinal stenosis is when the foramen or holes that the nerve roots pass through become narrow with arthritic changes. Naturally, if the passageways are narrower than normal, there will be more pressure on the nerve roots. This increased pressure on the nerve roots will decrease the electrical impulse to the muscles in the lower extremities. The result is that the muscles will get the impulses or “innervation” to contract but with less power, strength, endurance and overall capacity. Standing straight up will intensify these symptoms because the foramen get narrowed even more with the natural lordotic curve of the lower back. Naturally, all upright activities such as standing, walking or stair climbing will increase symptoms of heaviness in the legs, pain in the legs and the feeling that your legs feel like they are a hundred pounds. Patients compensate by leaning forward when they walk on a walker or a shopping cart. They’ll feel fewer symptoms walking uphill because of the forward lean during this activity, and the best way to relieve symptoms is to sit down, which usually provides almost immediate relief. Many patients complain that they will feel the symptoms during walking, sit for a few minutes to relieve the discomfort and then be able to walk a little more, repeating the process until they have reached their destination or completed their shopping. The most invasive treatment for this diagnosis is spinal fusion, where rods and screws are implanted along your spine to create stability and relieve neural compression. This does not have to be you! Many of my patients do have lower back pain with walking or standing but do not have the heaviness, fatigue or pain in the lower extremities. This is the key to differentiating between lower back pain from spinal stenosis. I’ll repeat, this is the key to distinguish between lower back pain from spinal stenosis. If you do not have the telltale symptoms of discomfort, heaviness, and fatigue in your lower extremities during upright posture such as with walking or standing that immediately dissipates with sitting or leaning forward, then the spinal stenosis is not your problem!! Your MRI, CT scan or x-ray may diagnose you with having spinal stenosis as part of your anatomy, but in my experience, the spinal stenosis is not causing your lower back pain if you do not have the accompanying symptoms down the lower extremities as described above. What I’ve found to cause the lower back pain in higher than 85% of my patients is nothing to do with the lower back. Mind you; I said the cause, not the effect. The source of the lower back pain in most of my patients comes from lack of flexibility and strength of the hip and thigh musculature. Since many hip and thigh muscles attach to the hip and pelvis, they will have a significant influence on to the position of the tilt of the pelvis and the hips. Since the base of the entire spinal column, the sacrum, rests between the hip and pelvic bones, they will have a significant influence on the position of the sacrum and lower lumbar spines. I’ve discovered the immense relationship between lower back pain arising from strained, tight or weak hip or thigh musculature. This basis is the backbone of how I treat most of my patients with lower back pain. The increased curve of the lower back can be caused by and exacerbated by the tightness of the muscles of the front thigh, the Quadriceps. This is where most patients get skeptical of my diagnosis. I’m telling them that their lower back pain is not from their lower back at all but their front thigh muscle??!!? I’ve gotten used to this skepticism and let the treatment help them understand. Very concisely put, I stretch and relax the strained front thigh muscle, which in turn, relieves pressure on the hips and pelvis which, finally takes pressure off of the lower back thus reducing lower back pain. Patients are amazed when I purposely avoid touching their lumbar spine and relieve a significant amount of their misery by merely massaging, stretching and strengthening their lower extremity musculature on the first day of treatment. The truth is that a majority of people over the age of 60 years of age have spinal stenosis. Our body isn’t perfect, and MRI’s will reveal every “abnormality.” However, these abnormalities HAVE to match up or correlate with your physical complaints. If they do not correspond, then they have to be ignored because they will create a smoke screen to what the real cause of the pain is and hinder the effective treatment necessary to resolve the painful symptoms. Many people fear to hear the words, “it’s your Rotator Cuff” when they seek medical attention for shoulder pain and dysfunction. The rotator cuff is simply a group of four small muscles that attach from the shoulder blade (scapula) to the top portion of the arm bone (humerus). The reason these muscles are collectively labeled the rotator cuff is because three out of the four muscles function to “rotate” or spin the humerus either inwards or outwards. The outward spin or external rotation of the humerus is critical to avoid impingement or pinching of the rotator cuff tendon deep within the joint. The shoulder complex is made up of four different joints that all contribute to the full range of motion required to perform daily activities effortlessly. Regarding stability, however, it’s horrible. The shoulder, which is a ball and socket joint, sacrifices stability for mobility, unlike the other major ball and socket hip joint, which sacrifices mobility for durability. The surrounding musculature, along with the joint capsule, ligaments and labrum become primarily responsible for the majority of the stability at the shoulder complex. I have evaluated many patients in the past that had scheduled surgery on their rotator cuff because an MRI revealed some fraying or tearing of the tendon, although these patients had full use and range of motion of their arm. This is an extremely radical approach to correct something that is seen on an MRI despite the patient, albeit with pain, having the ability to raise their arm and reach above their head. Typically, someone that may require a rotator cuff repair present with a definite significant or complete tear of the rotator cuff tendon along with the inability to raise the arm away from their body due to pain and weakness. There’s a special orthopedic test called the “drop arm test” which may indicate a rotator cuff tear. The test involves the clinician raising the patient’s arm above shoulder height and asking the patient to lower it down slowly. A positive “drop arm test” is when the patient is unable to lower the arm, and it falls or drops abruptly due to pain and weakness. It’s crucial to note that someone with a perfectly intact rotator cuff tendon can have a positive drop arm test. If a rotator cuff tendon is pinched or “impinged” within the shoulder joint by the humeral head and the shoulder blade, it will create severe sharp pain. Naturally, the patient will want to avoid this pain and let the arm “drop” down instead of trying to lower the arm, which will only intensify the pain. This is where the special orthopedic test can mislead the clinician to inaccurately diagnosis and, unfortunately, may lead the patient to the operating room. The truth is that many of the excellent surgeons out there will not operate on your shoulder even if your MRI reveals a tear. However, some surgeons will use the MRI finding of damage as an opportunity to suggest surgery. Luckily for many patients, these types of surgeons do not make up the majority. So how do you know if you need a rotator cuff repair? There are many, many different factors involved in deciding on surgery including the mechanism of injury or how you injured your shoulder, your age, your occupation, the number of tendons that are torn and the size of the tear itself. The best treatment option, physical therapy, offers the least invasive and potentially the most effective results since we deal primarily with restoring strength and stability of the rotator cuff. So let’s discuss the two leading causes of a rotator cuff tear (traumatic & non-traumatic) by first understanding a little about the anatomy and biomechanics of the shoulder. The end of your shoulder blade has a ledge called the “acromion” and beneath this acromion is a narrow space where the Biceps and Supraspinatus (rotator cuff) tendons run through, laying directly on the humeral head. In this space, called the Sub (“below”) Acromial space, is where the rotator cuff and biceps tendons are pinched or “impinged” between the underside of the acromion and the top of the humeral head. This is summed up with the diagnosis of “Subacromial Impingement,” which describes the humeral head gliding upwards and striking the underside of the acromion, thus pinching the tendons. Imagine having a piece of rope glued to the top surface of a rock. Now take that rock and strike it upwards against the undersurface of another rock, pinching the rope in between. What will happen is the rope will start to fray and eventually tear, which is what happens when you have a non-traumatic tear of the rotator cuff occurring over time. Patients experiencing this will note having a sudden pinching type pain deep within the shoulder with specific motions such as reaching outwards, across the body or upwards. Pain is primarily intensified with sleeping on the shoulder. These are all telltale signs of a rotator cuff or biceps strain. If this pinch is not checked or resolved, then the tendon will fray and, much like the rope, it will tear. The lack of strength of the rotator cuff and other muscles around the shoulder blade lead to the humeral head gliding upwards against the acromion, pinching the tendons in the process. This is why physical therapy is so essential in preventing a tear of tendons that are merely strained. A strained muscle or tendon can be healed without surgery whereas a complete rupture or damage of a tendon may require surgery. It behooves the patient to seek physical therapy care to prevent a full thickness tear. Even if the MRI reveals a tear of the rotator cuff, depending on the size of the damage, physical therapy can help prevent further tearing and keep you out of the operating room. It all depends on stopping the continued pinching of the tendons within the subacromial space with physical therapy treatment. If the tear within the tendon is not large enough to impede the motion of the arm, then physical therapy can help to prevent further trauma to the tendon and allow scar tissue to be laid down and heal the tendon. You always hear, “I have carpal tunnel” from people that are suffering from numbness and weakness in their hand. The truth is, we all have carpal tunnel because it’s an anatomical part of our wrist. We have eight small pebble-like bones that are in two rows of four bones at our wrist called known as our “carpal bones.” If you look directly from the palm towards your wrist, you’ll see that these bones form almost a “U” shape. The roof of this “U” is a ligament that rests on the palm side of your wrist, thus creating a “tunnel.” Inside this tunnel rests nine tendons and one nerve. Tendons are the anchors on either side of muscle tissue that anchor the muscles to bones. The nerve that runs through this tunnel is called the Median nerve, and it is responsible for the sensation in your thumb, index and middle finger. It is also responsible for giving the small group of muscles at the base of your thumb the impulse to contract. We discuss the importance of this Median nerve because someone suffering from an injury due to prolonged compression of this nerve will have numbness in the first three digits (thumb, index and middle fingers). When the compression of the nerve progresses, patients will have constant numbness in their fingers which make it difficult perform fine motor activities such as buttoning buttons picking up coins, etc. In addition to the sensory deficits (numbness), the patient will also have weakness of the thumb, causing them to drop objects. Prolonged compression of the nerve leading to motor (muscle) deficits can be seen by the patient having atrophy (muscle wasting away) at the base of the thumb. So, now that we’ve discussed the physical symptoms of median nerve compression let’s consider how and where it is compressed. As we talked earlier, the median nerve runs through the carpal tunnel along with nine other tendons. The tendons attach the muscles of the forearm that initially attach from the elbow to the fingers and thumb. As with all nerves, any compression of the median nerve will create the numbness and weakness that we discussed above. Here is where our philosophy of treating carpal tunnel syndrome differs from many other physical therapists and physicians. Inflammation (the four properties of inflammation are swelling, redness, pain and warmth) of the forearm musculature will cause the muscles and the tendons of those muscles to become swollen. The swelling of these nine tendons inside a very small carpal “tunnel” is what compresses the median nerve, leading to the symptoms of numbness, pain, and weakness. Imagine if you’re in standing in the middle of nine people in an elevator. Imagine that everyone around you is about 200lbs, leaving you enough elbow room. Now imagine everyone around you suddenly swells to be 600lbs, which squeezes you in the middle. That is what happens to the median nerve inside the carpal tunnel. Typically, without any inflammation, there’s ample room for the nerve alongside the other tendons. However, if those tendons become inflamed and swell, then the nerve will be compressed and irritated thus creating all of the sensory and motor deficits discussed above. The key is to relieve the pressure on the nerve from the inflamed tendons within the tunnel. The common cause of inflammation of these tendons is inflammation of the forearm and thumb musculature. Muscle spasms within the forearm can be easily detected by the physical therapist and treated with myofascial release treatment. Furthermore, strengthening and stretching of specific muscle groups will reduce the inflammation of the muscles and tendons, relieving pressure on the nerve. Once the pressure on the nerve is alleviated, the symptoms of numbness, tingling and weakness will be resolved. Many patients will seek medical attention first to have an MRI of the wrist. Often, the MRI may show inflammation within the tunnel and surgery may be suggested. The operation involves cutting the ligament that serves as the “roof” of the tendon, allowing the swollen tendons to expand hopefully relieving pressure off of the median nerve. However, I’ve treated many patients that have had this surgery and still suffered from the numbness. This is because despite the ligament being released, it still didn’t alleviate enough pressure off of the nerve. What’s more disappointing is that many patients have had the carpal tunnel ligament release surgery and never even suffered from carpal tunnel syndrome in the first place! I always say that, if it’s not a medical emergency, always seek physical therapy care first for your pain or numbness. Although MRI results may be a suggestive tool for surgery, give yourself a chance to first resolve the pain with physical therapy before going under the knife. It’s a lot easier to massage, stretch and do a few exercises to help alleviate pressure on a nerve than to cut a ligament that either the good lord or evolution saw fit that you should have at your wrist. I came back from a trip where we did a lot of walking, and my hip was killing me. I went to see my doctor, and he took x-rays, which showed arthritis. I started walking for exercise, and my hip started to bother me. I went to see my doctor, and he took x-rays, which showed arthritis. I woke up from lying on my hip the entire night and had pain at the hip. I went to see my doctor, and he took x-rays, which showed arthritis. I fell onto my hip, and my hip was bothering me. I went to see my doctor, and he took x-rays, which showed arthritis. We were recently doing renovations at my house, and I was going up, and down the stairs, a lot and my hip were killing me after. I went to see my doctor, and he took x-rays, which showed arthritis. I’ve had hip pain for weeks, or months or years and I’ve never tried physical therapy. I went to my doctor who did injections, and the x-rays showed arthritis. …….…..so I had the hip replaced….I just had to! Any of those examples sound familiar? You may think that it’s a simple decision to have a total hip replacement after reading the above but, many times, jumping into surgery is not the answer! Now I’m not advocating that total hip replacements are not the answer. In fact, for someone suffering in pain that is indeed suffering due to the effects of the bone grinding on bone in their hip sockets, the only answer is a total hip replacement. Interestingly enough, I’ve had all of the scenarios I listed above come to physical therapy before having a total hip replacement with the same “I went to see my doctor, he took x-rays, which showed arthritis and he said that I need a total hip replacement” story. These patients, however, and for whatever reason, were skeptical of just jumping into surgery and wanted first to try physical therapy. These people turned out to be the wisest, sparing themselves a trip to the operating room only by attending physical therapy. The truth is, we have had hundreds of patients come to us entirely convinced that they would need a total hip replacement. We’ve only had a handful of patients that required the hip replacement procedure. With most patients, we were able to resolve all of their pain with physical therapy. It is not hard to see why patients would opt to have the surgery. They had hip pain, had an x-ray, along with the physician telling them that they needed a hip replacement, it’s not a hard sell. Then I come along with no sophisticated machinery or diagnostic testing other than my hands, and I tell them that, although they have arthritis, the arthritis is NOT the cause of their pain. Out of the hundreds of patients that have come to us over the years with the same “the x-rays show bone on bone arthritis,” only a small handful of patients have needed to have their hips replaced. I’ll repeat it, only a small handful of patients have needed to have their hips replaced. So what’s causing the pain if it’s not the joint?!? As you can see, there are numerous symptoms that these four (out of the nearly 20 muscles at the hip) muscles can cause. Do any of these symptoms sound familiar? Do you suffer from any of these types of pain or physical limitation? Knowing that muscle tissue can be a massive contributor to pain, why would anyone in their right mind jump into surgery without first resolving the muscle strains? Once again, it’s not your responsibility as a patient to know about muscle strains and osteoarthritis. Most patients trust and follow the advice of their doctors without questioning other options. However, it’s always better to be your own advocate and, if non-life threatening, first request the least invasive form of treatment. Patients cannot fathom that the severe pain that brings them into our facility is caused by muscle tissue. Muscle strains can be severely painful!! Muscle strains will stop you in your tracks, take your breath away and make you see stars…usually all at the same time. Considering that only muscle, out of the nearly 20 that are around your hip region, can cause this kind of pain, it would be wise to seek the care of the muscle experts, physical therapists. No other healthcare professional is in tune with the way we humans move, what muscles we use to perform the most basic to complex movement patterns and what compensations we will adopt if specific muscles are strained or weak. If you are one of those patients that want a quick fix and wants to “get it over with now” then consider what happens after surgery. Ask yourself, what makes more sense and is the smarter decision? Jumping into the most invasive treatment option to endure the pain and health risks of having a total hip replacement in order to…. It’s quite apparent which scenario results in less physical therapy treatments overall and keeps you out of the operating room. Much like with the discussion regarding total knee replacements, or any other replacements for that matter, it would almost be reckless and irresponsible to have a complete hip replacement based solely on an x-ray. So when it comes to your hip and those dreaded x-rays showing the famously phrased “bone on bone arthritis,” give yourself a chance to stay out of the operating room with physical therapy treatments. If I had a dime for every time a herniated disc caused a patient to have pain and numbness radiating from their thigh down to their ankle, then I’d probably have 30 cents. In all my years of practice, the presence of a herniated disc has meant very little to the patient’s complaints of pain and numbness, especially when it comes to Sciatica. The sciatic nerve, which is as thick as your thumb, is made up a bunch of smaller nerve roots. These nerve roots, which are almost as thick as telephone wire, exit your lumbar (lower back) and sacral (between your hips) spines. These smaller nerve roots coil together to form these thick sciatic nerves deep on either side of the buttocks. Let’s quickly discuss the functions of nerves. Nerves innervate or electrocute your muscles to contract (motor function), or they allow you to feel touch sensation (sensory function). The nervous system is like the electrical system of your house. If you go to the electrical panel in your home, you’ll most likely see “upstairs bedroom,” “downstairs hallway” and “kitchen” etc. written next to the switches. If you turn one switch off, then the room associated with that switch will lose power. Nerves are similar to that, and we call this innervating muscle(s) or being responsible for the sensory feedback from a particular region of the body. The bigger the nerve, the more muscles and areas of the body that it services. It’s not surprising then to know that the Sciatic nerve “services” every muscle in the back of your thigh and all of the muscles below your knee. As I stated before, the sciatic nerve originates deep in your buttocks region and heads down to your foot. Much like an upside down tree, the trunk of the tree (the sciatic nerve) starts to branch off into smaller nerves that go to innervate muscles in the area. The sciatic nerve also changes names along the way as well. For example, once the nerve goes south a bit and reaches the upper thigh, it branches into the tibial nerve, and the common peroneal nerve and both of these nerves continue down towards the foot. The tibial nerve heads straight down behind the knee and into the inner part of the ankle where it splits one last time to form the medial and lateral plantar nerves. The common peroneal nerve heads down as well towards the outer knee and splits right around the head of the fibula, which is your outer leg bone. Once it splits around the knee, one branch, the deep peroneal nerve runs down the front of the shin to the top of the foot. The other split, the lateral peroneal nerve runs down the outer leg to the ankle. As you can see, the sciatic nerve is quite involved and responsible for a lot of muscle contractions and sensory feedback. It is when compression of this nerve leads to irritation and subsequent neurological symptoms that we diagnose it as Sciatica. If you’ve noticed, the discs in the lower back have nothing to do with where the sciatic nerve travels. The symptoms of sciatica are straightforward to recognize. There are many different signs & symptoms of sciatica but, over the years, our patients have predominantly listed the symptoms above when describing sciatica. It is imperative to realize that under your skin there are hundreds of muscles, tendons, nerves, arteries, veins, ligaments, fascia and bones that are all right on top of one another. It is very likely, and very common that a strained muscle or tendon may become swollen and compress and inflame any surrounding nerves. This is precisely what happens to the sciatic nerve thus creating the very painful ailment, sciatica. We discussed that the sciatic nerve is formed in the buttocks region when smaller nerve roots coil together to create this massive nerve. This is the first and most common area of sciatic nerve compression and inflammation caused by the Piriformis muscle. The sciatic nerve and the piriformis muscle are directly next to each other in a very narrow opening called the greater sciatic notch, amongst other veins, arteries, and nerves. In either 30% of the population, the sciatic nerve pierces through the piriformis muscle. However, the nerve usually rests above or below this muscle. The significance here is that when the piriformis muscle becomes inflamed, it becomes swollen and compresses the sciatic nerve and it is this compression that irritates the nerve thus creating the neurological symptoms. The more severe the compression and irritation on the nerve, the further the symptoms of numbness and pain travel down the limb with the most severe cases causing numbness and pain in the outer ankle. Another source of compression of the sciatic nerve is within the hamstring muscles in the back of the thigh. Since the sciatic nerve and the hamstrings both run down the back of the thigh, any inflammation of the hamstrings may compress the sciatic nerve causing numbness and pain. Additionally, compression of the nerve within the calf muscle can occur causing numbness in the lower leg and ankle. Sciatic symptoms are the same as a herniated disc, numbness and tingling down in the lower extremity. The significant differentiating factor is how large the area that is being affected by the numbness or tingling. Many describe the nervous system as the electrical component of our body. Think about the electrical panel in your house. There’s a switch that services your kitchen, a different switch for your bathroom, etc. This is the same scenario for our body. Compression of one nerve may cause numbness and tingling specific to the inner thigh, where another nerve may cause sensory deficits to the upper portion of your front thigh. Individual nerve roots may service or are responsible for tactile feedback from parts of your body, but no one nerve root could be accountable for numbness and tingling starting from the buttocks, into the back of your thigh, back of the knee, lower leg and finally into your ankle. This is too large of an area for one nerve root. When a disc herniates, the inner substance of the disc protrudes out and may compress and irritate the nerve root in the area. I say may because the nerve root usually doesn’t become inflamed or cause neurological symptoms. This statement is supported by the fact that a majority of people without any neurological symptoms or complaints do in fact have herniated discs. The vast region of numbness associated with sciatica could not possibly be caused by one, two or even three herniated discs causing compression of the nerve roots. To “blame” herniated discs for the neurological symptoms that span the areas of the buttocks, thigh, leg, and ankle, one would have to have a herniated disc at the level of L4, L5, S1, S2, and S3. In my fifteen years of practice, I’ve rarely seen a patient suffer from numbness radiating from the buttocks down to the ankle (sciatica) and discovered herniated discs to be responsible for these symptoms. Fortunately for thousands of our patients, muscle tissue has been the cause of the sciatic nerve compression and inflammation resulting in the severe pain and numbness in the lower extremity. We have found great success in treating sciatica, not with epidural injections, spinal surgery or even treatments at the lower back, but with the myofascial release or deep tissue massage, stretching and strengthening of the muscles of the hips and thighs. Through these treatment techniques, we gradually reduce the compression on the nerve thus decreasing the amount of shooting pain into the lower extremity. Patients feel a measured degree of relief with each treatment until their symptoms are completely resolved and forgotten. People are often amazed that muscle tissue ultimately causes the severe pain that drives them to physical therapy. Since physical therapists are the muscle experts, it is only natural that one seek the skills set of an orthopedic & sports physical therapist to quickly end their pain and suffering. It’s no surprise that any patient having pain at the bottom of their foot would seek medical care. It’s not at all a surprise that a patient is convinced that the pain is being caused by a heel spur when an x-ray reveals one in the foot. So what is a “spur”? A spur is an area of bone growth due to excessive tension or pulling on that bone by a tendon or, in this case, fascia that is attached to that bone. When we think of bone, we think of hard, dense tissue that doesn’t change shape at all. However, bone can be pulled and molded much like clay if under enough tension. We mentioned that tendons are the anchors that attach muscle to bone. The plantar fascia is the tense and robust band of tissue that runs from the heel to the base of the big toe. If and when this plantar fascia becomes inflamed, it creates a lot of tension on the attachment site at the heel. This increased tension will produce a nub or a spur off of the heel bone. Whether or not this nub is responsible for the pain associated with plantar fasciitis will now be discussed. We mentioned that this fascia would pull and create a spur off of the heel. It’s important to realize that the heel spur is pulled forward toward the big toe and not downwards toward the ground. This is important to understand since the pain that patients feel associated with plantar fasciitis is not as a result of the heel spur digging through their skin during weight bearing. There are a few indicators to prove that a heel spur is not responsible for the pain associated with plantar fasciitis. How often the patient feels pain and understanding that bone spurs never go away on their own are relevant facts to remember. Patients suffering from plantar fasciitis typically have intense pain with their first few steps out of bed. The pain is felt, not so much at the heel itself, but in the center of the bottom of the foot. This pain, although quite severe with the first few steps, decreases a little after several steps. Patients may describe varying degrees of pain with standing for too long or with the first few steps of walking. The varying degree of pain proves that bone cannot be responsible for the pain in the foot. If the bone is genuinely the cause of pain in the foot, then the patient would never have varying amounts of pain with weight bearing activities. The bone spur would always cause the pain in the heel because the bone is always present. As we’ve seen with patients with plantar fasciitis, degrees of pain vary with intense pain upon first walking which decreases with continued walking. On the other hand, pain can sometimes increase with prolonged walking or standing. In any case, the varying degree of pain proves that a constant, such a bone spur, cannot be responsible for a variable complaint. We have discussed how the presence of a bone spur does not always relate to the signs and symptoms of plantar fasciitis and should, therefore, not be immediately considered as the cause of pain. The heel spur is merely another sign of plantar fasciitis since it’s the excessive inflammation of the plantar fascia that is causing the formation of the heel spur. The cause of plantar fasciitis is usually poor posture causing excessive weight bearing on the toes. This forward lean on the toes creates increased tension on the plantar fascia resulting in inflammation and pain. Another cause of inflammation comes from a strained calf muscle, which will cause increased pressure on the plantar fascia. The most common producer of this forward lean posture is tight hip and thigh musculature. These tight muscles pull the hips forward, forcing the increased weight bearing on the toes. Once again, this increased pressure on the toes not only stretches the plantar fascia, but it also increases the tension on the calf muscle. Non-invasive physical therapy treatment for plantar fasciitis is quite simple and highly effective. The priority is to relieve pressure off of the inflamed tissue by correcting posture. Limiting the forward lean on the toes will restrict excessive stretch of the plantar fascia. This is achieved through a comprehensive stretching and strengthening routine of the lower extremities. Additionally, myofascial release or deep tissue massage to the calf muscle and the plantar fascia coupled with ultrasound is highly effective in relieving inflammation. In addition to these physical therapy treatments, a home exercise program including cryotherapy, self-stretches and a nighttime foot brace assists significantly with reducing inflammation and pain. Typically, people with plantar fasciitis will seek medical care and receive cortisone injections or orthotics to relieve foot pain. The posture of the foot, either excessively arched or flat will be labeled as the reason why a person may experience plantar fasciitis. It’s hard to believe that a person’s flat foot posture is the cause of the plantar fasciitis when they’ve had flat feet for all of their lives and their plantar fasciitis for only a couple of weeks. For example, I evaluated a 48-year-old patient that suffered from plantar fasciitis for three weeks. She said that her doctor said that her flat feet were the cause of the plantar fasciitis. She found this odd and stated, “I don’t understand how it’s my flat feet that are causing this pain since I’ve had flat feet my whole life and am only recently experiencing this pain.” I applauded this patient’s common sense thought process. In the end, we resolved her plantar fasciitis and……she still had flat feet. Patients may be prescribed very expensive orthotics to “correct” a foot posture that has NOTHING to do with why they have plantar fasciitis. Often, when we evaluate patients that are wearing orthotics, they often complain of continued pain as well as discomfort at their knees or hips since wearing the orthotics. This is not surprising since the orthotics alter the posture of the foot, which then changes the position of the ankle, which adjusts the pressure imposed on the knee etcetc. Patients typically stop using their orthotics after they realize that their flat feet or high arches have little to do with why they have plantar fasciitis. Cortisone injections (an anti-inflammatory steroid medication) directly into the plantar fascia can be quite painful but may offer some relief with pain. It is important to realize that, although the cortisone injection may provide pain relief, it does not address the cause of the pain. Masking the pain can perpetuate the cause leading to further soft tissue damage of the plantar fascia. The final and most invasive treatment option is surgical intervention to remove heel spurs and to resolve plantar fasciitis. Surgical intervention involves cutting out the bone spur from the heel, which may create more scar tissue. At PKL PT, we’ve never had a patient resort to surgery after initiating a physical therapy regiment for plantar fasciitis. With so many successful conservative treatment options, an operation should be the last option for relief. When suffering from plantar fasciitis and heel spurs, your options are either surgery, cortisone injections, expensive orthotics or physical therapy. Physical therapy treatment is the only option that doesn’t try to mask the pain but to address the source of the pain. Physical therapy is highly effective, utilizing the least invasive forms of treatment including massage, myofascial release, ultrasound, stretching, strengthening, thermal modalities and a home exercise program. In the end, the question is whether someone would undergo surgery to remove a bone spur to resolve plantar fasciitis after they realize that the bone spur has nothing to do with their plantar fasciitis. Most patients would not want to go under the knife to remove something that is not the cause of their pain. Once again, the least invasive and most effective physical therapy treatment trumps surgery, expensive orthotics, and painful injections. The costliest orthopedic procedure is the spinal fusion surgery coming in at a whopping $12.8 billion per year, which is about $16,000 per hospital stay. The operation involves joining two vertebral segments together, or fusing them, using hardware such as plates and screws along with adding bone graft to the section of the spine. This is meant to stop movement at the painful vertebral segment of the spine. The ultimate goal is to prevent movement between the two bones that are supposedly causing the neck or back pain. The negative aspect of this surgical procedure is that all natural movement at the fused spinal segment(s) ceases. This is very important to understand when dealing with the overall movement of the spine. When someone wants to rotate their head, every vertebra in the neck contributes a small percentage of motion to achieve this rotation. If, for example, C5 and C6 are fused then they cannot contribute to the overall movement of rotation. Therefore, the level above (C4) and the level below (C7) will have to provide more motion to compensate for the lack of movement at C5 and C6. This compensation will cause the C4 and C7 levels to become hypermobile or unstable compared to the other levels of the spine. It is understood that a spinal fusion is meant to help support and stabilize the spine in cases such as a fracture (broken spinal bone), severe scoliosis, excessive shift of the spine known as spondylolisthesis or even tumors of the spine. Let’s discuss a little about the natural motions of the spinal column and the anatomy of the spine. We have the cervical region (neck) which as seven vertebrae, the thoracic (mid back) which has twelve vertebrae, the lumbar (lower back) which has five vertebrae and the sacral (buttocks) which as five naturally fused vertebrae and the coccyx (tailbone) which as four fused vertebrae. The spine, except for the sacral and coccyx regions, have vertebrae that glide on one another to create movements such as rotation, bending, arching or side bending of the spine. The spine also has discs in between each of these vertebral segments that provide shock absorption and support for the spine. The layout includes a vertebra (bone) with a disc underneath it and then another vertebra with another disc underneath it and so on. The vertebrae will glide on one another via joints called facet joints, which are on the left and right side of the spine. A joint is where two bones attach to create movement. As we age, there is bound to be deterioration of the spine known as either degenerative disc disease of degenerative joint disease. This is often the diagnosis given to patients that are over the age of fifty or sixty years of age because it is the standard finding on an x-ray or MRI reading. It is important to realize that our body is not at all perfect and x-rays and MRI’s will reveal specific abnormalities that can be alarming but of little consequence in the long run. For example, a patient may have an x-ray of the neck which shows herniated discs or degenerative joint disease and has little or no neck pain. The point is, just because you have something “abnormal” that comes up on your MRI or x-ray, doesn’t mean that it should be something to cause worry. We’ve evaluated thousands of patients that arrived at our practice convinced that their degenerative joint disease at the spine was creating their neck or lower back and preparing for a fusion of the painful spinal segment. After the evaluation, however, we found that strains of muscles attaching to the spine were causing the stiffness, pain, lack of range of motion and, ultimately, loss of function. People are often amazed that the neck or lower back pain that they suffer from has nothing to do with the discs or vertebrae at all, but rather caused by muscle strains. Let’s further discuss the anatomy of the spine and how muscles are often the culprit behind much of our spinal pain. Muscles and ligaments attach from vertebra to vertebra all the way up the spine, providing support as well as initiating movements of our spine. For example, if you want to turn your head to look over your shoulder, specific muscles will contract and rotate your head as well as glide and rotate your vertebrae on one another (via the facet joints at each segment of the spine) to create this simple movement. Since most of these muscles attach vertically up and down the spine, they have lots of potentials to wreak havoc on the normal gliding and motion of the vertebrae during movement. When a muscle is strained or inflamed, it will become severely tight and lose flexibility thus creating increased tension on the attachment sites of the muscle, in this case, the vertebral segments. When these spinal muscles become inflamed, they will clamp one vertebra on top of another causing increased pain and grinding at each of these facet joints of the spine with every attempt to move. Since a joint needs to have a small amount of “play” or movement between the two bones that create it, this clamping down of the vertebrae will cause severe pain and lack of overall motion. Prolonged grinding of the facet joints will eventually lead to signs of degeneration of that spinal segment and arthritis. The key is to attack the cause of this issue, which are the muscle strains. When we resolve the muscle strains, we eliminate the excessive pull on the attachment sites of the muscle which alleviates the clamping down of one vertebra on top of another, which in turn allows free movement of the facet joints without grinding or inflammation. During our physical therapy evaluation, we usually determine that strained musculature causes much of the problems at the spine. Utilizing very effective manual treatment techniques such as myofascial release, gentle joint gliding, and spinal traction, we significantly reduce the inflammation surrounding the spine. The source of spinal pain is usually caused by poor posture which is caused by weakness of specific musculature. In addition to these hands-on manual techniques, we utilize a targeted strengthening routine in order to correct the deficient posture that initially led to the strained muscles. When dealing with the cervical spine (neck), the likely muscles that strain causing much of the stiffness, pain, and lack of range of motion include the Levator Scapula, Upper Trapezius, Scalenes, and Suboccipital group. These muscles usually strain due to the poor rounded shoulder and forward head posture acquired due to over shortening of the Pectoralis major and weakness of the upper back musculature. Physical therapy treatment includes starting off with moist heat to the neck to bring blood flow to the area followed by strengthening exercises of the upper back musculature. This strengthening helps to loosen up the “locked facet joints” helping to improve the mobility of the spine while reducing pain. After the corrective postural strength training, the treatment concludes with the hands-on manual therapy to improve mobility at the facet joints and reduction of painful symptoms. When treating the lumbar spine (lower back), the likely muscles that strain causing lower back pain, stiffness and lack of range of motion are the Quadratus Lumborum, Erector Spinae, and muscles of the gluteal region. These muscles strain primarily due to the altered position of the hips and pelvis thus creating either an excessive arch or flattening of the lower back. This altered posture of the lower back is the reason behind why someone’s back “goes out.” Often, the muscles of the hips and thighs play a considerable role in the position of the lower back, usually causing much of the pain and stiffness of the lumbar spine. 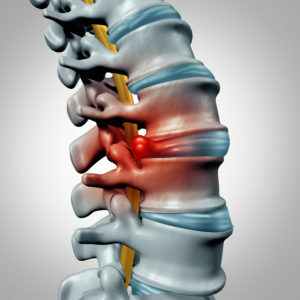 The same facet joint locking in the neck can occur in the lower back region as well. Physical therapy treatment for lower back pain will typically consist of starting off with moist heat to the lower back to help bring increased blood flow to the region. The moist heat helps to loosen up the skin and soft tissue allowing for increased mobility. Following this treatment, the patient may perform flexibility exercises to help stretch out tight muscles of the hip and thigh. A strengthening routine is utilized to correct the position of the lower back thus taking pressure off of the lumbar spine and relieving pain and stiffness. Finally, the manual treatment consisting of myofascial release to the inflamed musculature, gentle joint mobilization, and distraction of the restricted vertebral segments dramatically helps with improving range of motion while resolving painful symptoms. As we discussed, few reasons would possibly warrant a fusion of the spine such as fractures, slippage of one vertebra on another, scoliosis or tumor growths. However, thousands of patients have had unnecessary spinal fusions of the neck or lower back just due to x-rays revealing degenerative joint disease or spinal stenosis. Luckily for many patients, most surgeons will not suggest a fusion without having their patients try physical therapy, chiropractic or other non-invasive treatments. However, many patients have had treatments at physical therapy facilities that were a complete waste of time. Patients describe treatments such as a hot pack, electrical stimulation, some neck rotation exercises and then ice. No performed manual therapies such as myofascial release, stretching, gentle joint mobilizations or distraction and no strengthening. This type of “treatment” is entirely ineffective, and no one can expect to get any results from this form of inefficient care. Visiting the right physical therapy practice where stretching, strengthening and hands-on treatment are all combined to provide effective care is critical to achieving success. Remembering that we are not perfect and that x-rays and MRI’s will most likely reveal structural abnormalities is an essential factor in determining the need for surgeries such as spinal fusion. Physical therapy is an excellent treatment option to help resolve neck and lower back pain despite x-rays suggesting the need for spinal fusion surgery. Patients cannot fathom that the severe pain that brings them into our facility is caused by muscle tissue. Muscle strains can be severely painful!! Muscle strains will stop you in your tracks, take your breath away and make you see stars…usually all at the same time. Considering that only one muscle, out of the nearly 20 that are around your hip region, can cause this kind of pain, it would be wise to seek the care of the muscle experts, physical therapists. No other healthcare professional is in tune with the way we humans move, what muscles we use to perform basic to complex movement patterns and what compensations we will adopt if specific muscles are strained or weak. Some may say that physical therapists advocate against surgery and for physical therapy to gain business. This couldn’t be more false! Avoiding surgery and attending therapy typically yields about 4-6 weeks of rehabilitation time which totals about 12-18 visits. However, having surgery immediately makes you a candidate for physical therapy which produces an average of 50 visits altogether. If we physical therapists naturally thought about increasing business and profit, then we would want everyone to have surgery!! We PT’s are a different breed, and we treat our patients like they are our grandparent, parent, sibling, relative or friend. We do not want anyone enduring any unnecessary pain or health risks by having surgery that is not indicated, just because an MRI, CT scan or x-ray found something that is not “perfect” in their body. So please remember that YOU are the patient and YOU have the choice to decide what is best for you. If there is time and you are not in need of immediate surgical intervention, then give yourself a chance to avoid the operating room and choose physical therapy. Senior Citizens MUST work out with WEIGHTS!